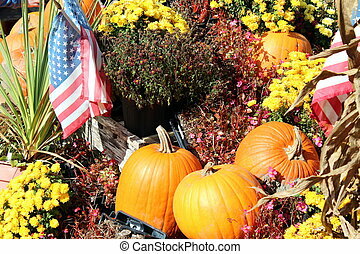 Fall display. 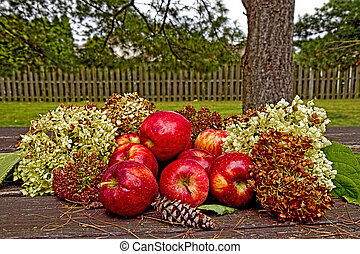 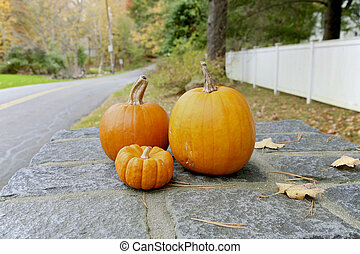 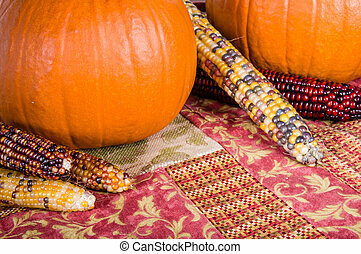 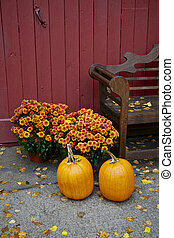 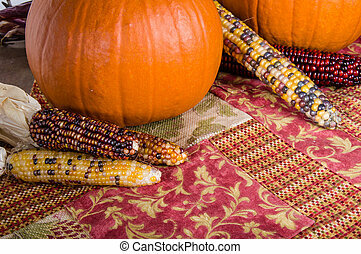 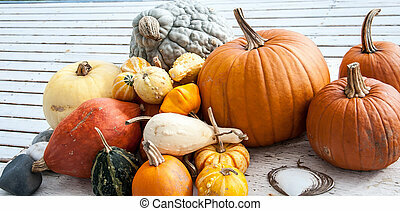 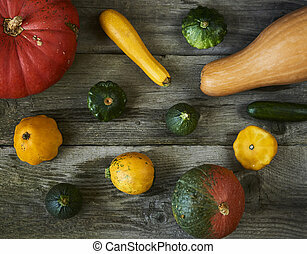 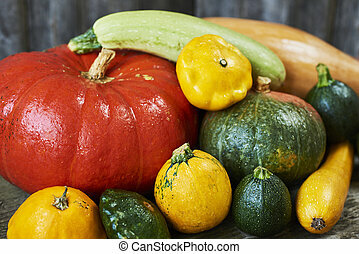 A group of fall decorations sit together on a white background. 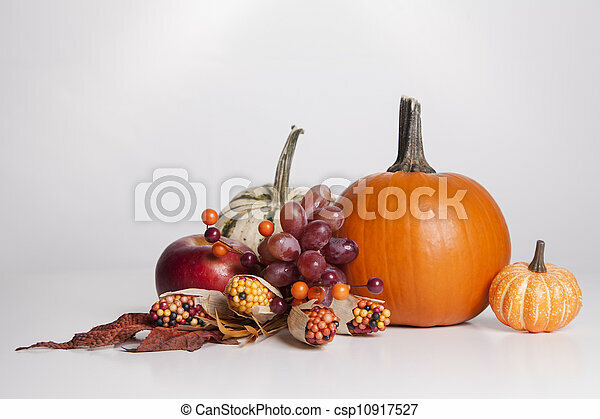 A group of fall decorations sit together on a white background. 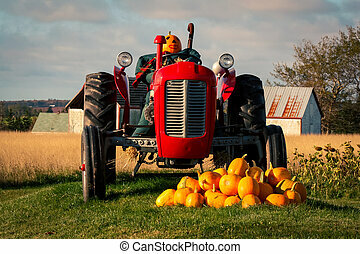 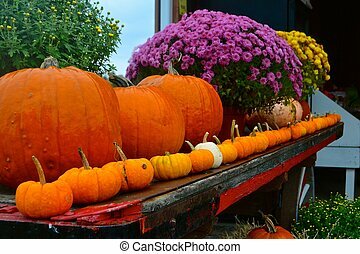 Pumpkins in a row on a farm, a fall display. 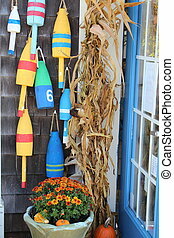 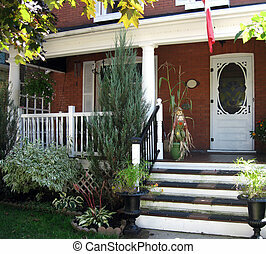 A front porch decorated for autumn. 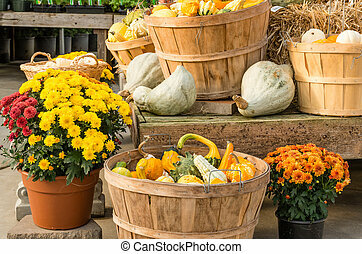 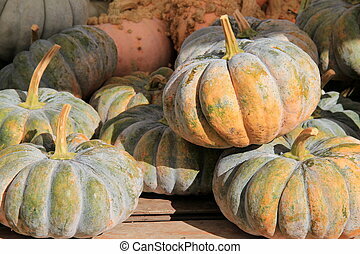 Fall display of colorful pumpkins on old wood table at farmers market.